Tony Stark’s displays in his Iron Man suit, the scouters from the Dragon Ball Z franchise, the Borgs’ scanners in the Star Trek franchise. While probably not inspirations for the Google Glass, some have drawn similarities to the device as well as both privacy concerns and road dangers concerned with them. Recently a video was released by Google showcasing the Google Glass’ presentation at the SXSW Interactive conference. Within technology circles and among developers the Glass has been met with positive reactions. One of the primary purposes of technology is making things easier. The mail system helped us not have to travel ridiculous distances to talk to someone, the phone and internet helped us not have to write letters, buy stamps, and wait days for news to reach someone, mobile phones allowed us to not have to stand next to phone to talk and take our conversation with us on the move, and smartphones allowed us to do roughly everything from business to recreation to educate ourselves. This current wave of technology also brings plenty of benefits for people with a variety of disabilities. Of course technology will have some resistance even if the pros are laid out. The Google Glass is Google’s newest device, a wearable computer if you will. It features a head mounted display (HMD) and a glass where users can view information and their surroundings via augmented reality (AR)—Nintendo’s 3DS handheld is an example of a current consumer piece of technology that used AR. This allows for hands free use taking smartphone usage a bit further. This is another pretty out there device from the Google X Lab, but this one seems to have a more marketable slant to it than the driverless car. The device will feature Google-related apps, voice command, and the ability to film 720p video and pictures. Despite that marketability and potential use for people with disabilities there has been some apprehension towards the Google Glass. In some Seattle coffee jobs, the Google Glass has been banned. Stop The Cyborgs—an organization formed to combat the Google Glass becoming a mainstream, consumer product as well as the potential surveillance aspects of the device—is assisting in getting the Glass banned in public places. The reason will seem pretty obvious to some: privacy concerns. While a smartphone or a tablet can also take pictures, people basically know what it is, what it can do, that the devices have to be pointed to take pictures, and public establishes can banned users from taking pictures on their grounds. That can be a bit more difficult with the Google Glass. Sure the user have to give a verbal command for the Glass to take a picture, record video, or do a search, but still it would be seen as a surveillance device even if that’s not the user’s intent. Beyond an organization seeking to stop a potentially beneficial technological advance, West Virginia law makers are looking to ban the Google Glass from being worn while driving. Representative Gary G. Howell is pointing to the same way mobile phones could provide distractions if the driver had to hold the phone. While the Glass is on your face and you don’t have to find it and sift through it, the Representative’s argument is that the field of view could obscured of road hazards, pedestrians, other cars, and so on from the user’s view. The proposed ban probably won’t hit this year, yet the storm surrounding it could be huge. There would be no way for police to be certain that the Glass was in use while driver is wearing it and the Google X Lab is planning on having it where the Glass can be fitted with prescription glasses. It looks like this piece of tech is destined to stir up as much controversy as the potential it shows. Just like smartphones, it can be used for what it was intended to be used for, for something much worse, or for great things beyond its intended use. It’s all in the hand of the person who controls it, really. 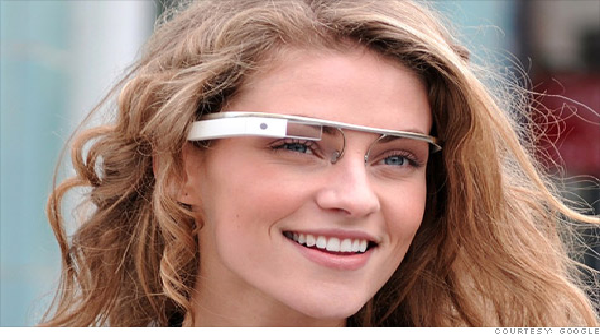 What do you think about the Google Glass? Should it be banned? Should it be accepted? Are the bans a case of technophobia or are we becoming too dependent on technology?